After the razing of Prospero, Magnus the Red spirited the Thousand Sons away to the aptly unnamed Planet of the Sorcerers, deep within the Eye of Terror. Superb voice acting with an excellent story and varied cast of interesting protagonist. one of my favorites! Honestly, pretty good. 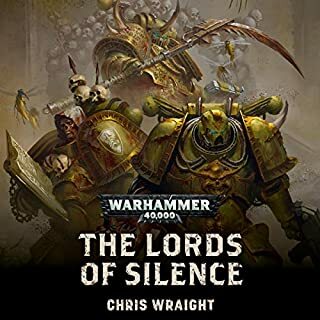 Story was compelling and there were some interesting new lore reveals for Thousand Son fans. Enjoyed it. There was alot of wandering around in the Warp while not alot of anything was really happening, though, couldve cut 2 hours if theyd trimmed some of the Warp Crazy for the sake of it from the story. Loved it. Epic story. Epic narrator. Wasn't let down the slightest. 10/10 Enjoyed this very much. What did you love best about The Crimson King? 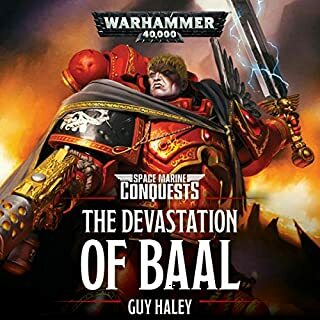 Story is very interesting and it shows main characters such as Magnus, Ahriman etc. Narration is cool, would recommend for any TS. This was an awesome story to listened to! I always wondered at the fates of the 3 remembrancers back in The Thousand Sons and I thought we will never see them again, but to my surprise, they played a very vital role in this story! 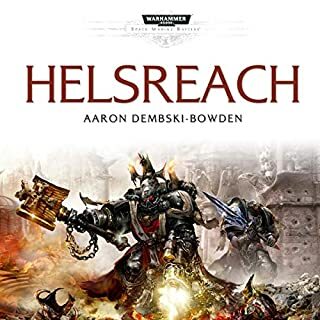 aside from the Space Wolves storyline, and catching up with Lemuel, this book was extraordinary really tedious. there was so much magic and obnoxious overpowered blah blah blah, one thing just bled into the other until the end of the book. the only times it was actually entertaining was when they were doing cartomancy on Lemuel. this actually makes me hate the Thousand Sons. 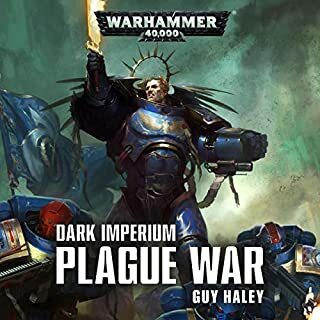 good read for the horus heresy series. the narration is awesome. but the narrative was meandering and uninspiring. by the time it ended I found myself wondering why I took the trip in the first place. the first real dub for the HH series for me. 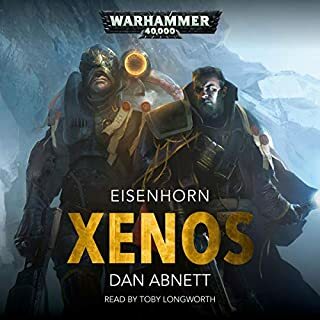 The worst part was the narration of the Space Wolves. They were barely intelligible. But it was an interesting insight into Ahriman and Magnus. The Crimson King suffers from the same essential problem as many other mid-series entries in the Horus Heresy narrative. The series' overarching plotline relies on a few key protagonists (newcomers may wish to look away now) e.g. 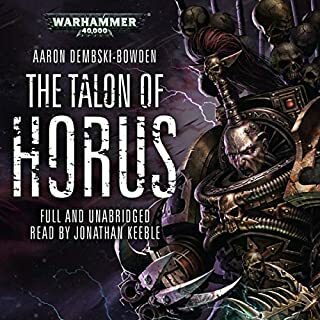 Horus, his rebellion against the Emperor of Mankind and the handful of other recurring characters who try to prevent it e.g. Garviel Loken, Nathaniel Garro, Iacton Qruze, Euphrete Keeler, etc. 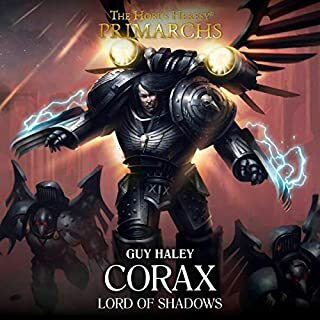 However, Horus is one of 18 primarchs, not all of whom are actually that vital to the key events of the Heresy. 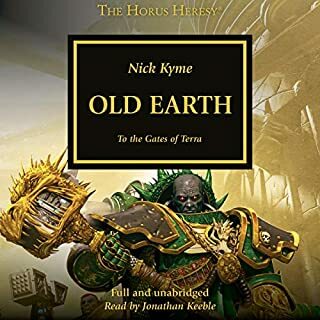 So the middle part of the series is maddeningly padded out with meandering stories about his brothers and their legions, despite the fact that they are utterly peripheral to the events in the earlier books or the Siege of Terra, where the series culminates. 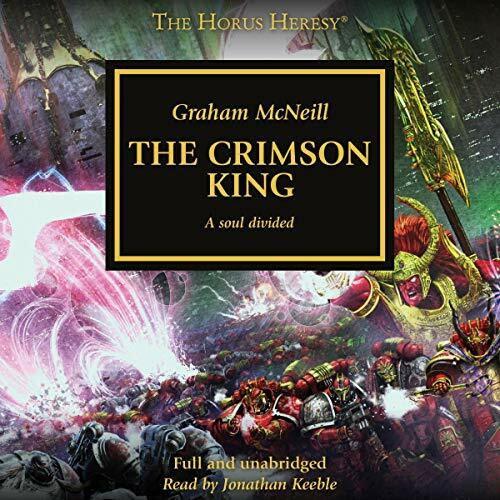 The Crimson King of the title, Magnus, is one of those characters, and to be honest this isn't one of Graham McNeill's best efforts in any case. I found it very difficult to follow what was going on most of the time, or who any of the characters actually were - but then after the first couple of chapters, I simply didn't care enough about any of them to try very hard. 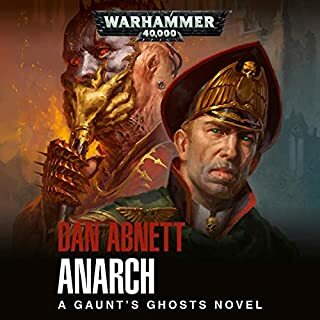 Contrast this with MacNeill's first entry in the Heresy series, False Gods, which is gripping from start to end, plotted like an action thriller and full of believable characters in peril. 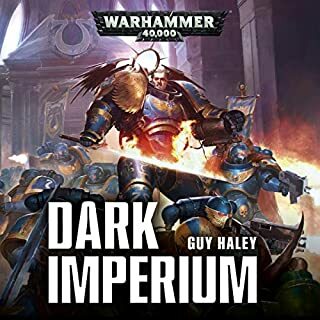 We also get the now-familiar references to 'superhuman' or 'transhuman', 'demigods' 'perfection of humanity' and other tedious cliches for describing the space marine legionaries. 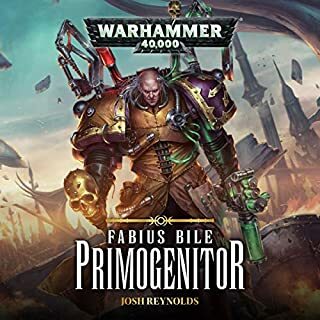 Like Fulgrim, Ferrus, Mortarian, Perturabo and the other 'not-very-central-to-the-plot' primarchs, Magnus himself comes across as so monumentally stupid and self-absorbed one is forced to question how he could possibly have risen to the leadership of a planet in the first place. Narrator Jonathan Keeble does his enthusiastic best with the journeyman material he's been given, but there's only so many times you can hear a narrator raise their voice to shout about the space marines awesomeness, "as they slew their enemies with such incredible speed, blah blah blah...." before it becomes white noise or a dull headache sets in. 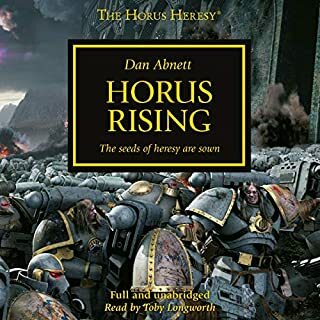 As it is, The Crimson King really is neither one thing nor the other - it fails to grip or entertain as a standalone novel and as a part of the Horus Heresy series, it doesn't move the overall narrative forward at all either. 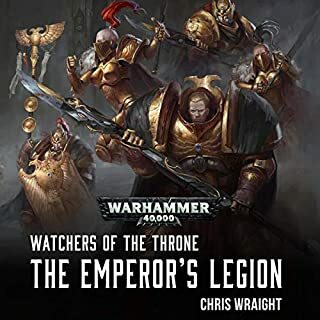 A worthy successor to "A Thousand Sons"
This book does a great job of explaining the motivations of the Thousand Sons and why they decided to eventually join Horus for the battle of Terra. Although Ahriman remains the main protagonist, a lot of time is given over to Amon, Hathor Maat, Magnus himself and many more of our favourite retuning characters. 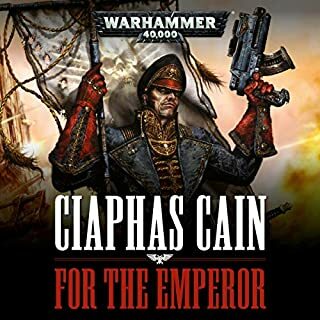 The book also bridges the gap between Graham Mcneill's Thousand Sons and John French's Ahriman series. I hope there will be a more books on the Thousand Sons before the Horus Heresy series concludes. 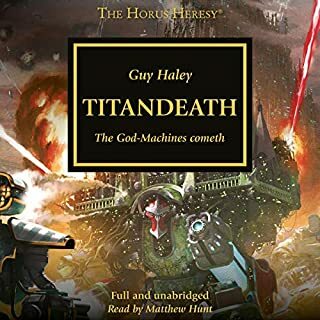 Another classic from the Horus Heresy series. 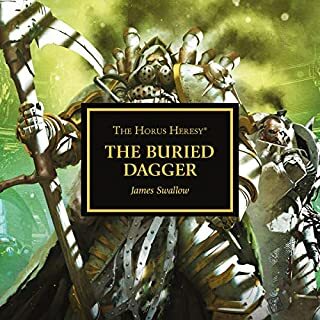 Really enjoyed this, great story and great insight into the Heresy Ahriman and Magnus. There were times it felt like it was a bit meandering, but everything snaps back to an explosive climax. Great book, well worth a listen. Well read and easy to follow, even in the long winded parts. Amazing story with a great narrator. Great to catch up with both the major and minor characters from Thousand Sons. Highly recommend. 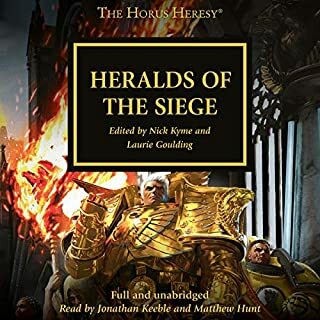 The story of Magnus and the thousand sons is a favourite of mine in the WH40K universe and Graham McNeill's superlative imagination and writing brings it entirely to glorious life. the voice performance was superb also, I admire these performers greatly. 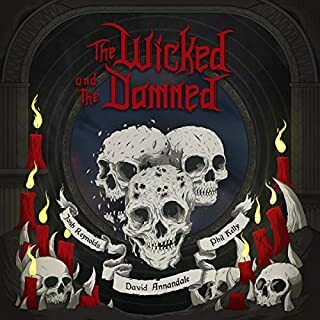 Would you consider the audio edition of The Crimson King to be better than the print version? What other book might you compare The Crimson King to, and why? Burning of Prospero is set when the Wolves of the 6th burnt that world.